Here we are! 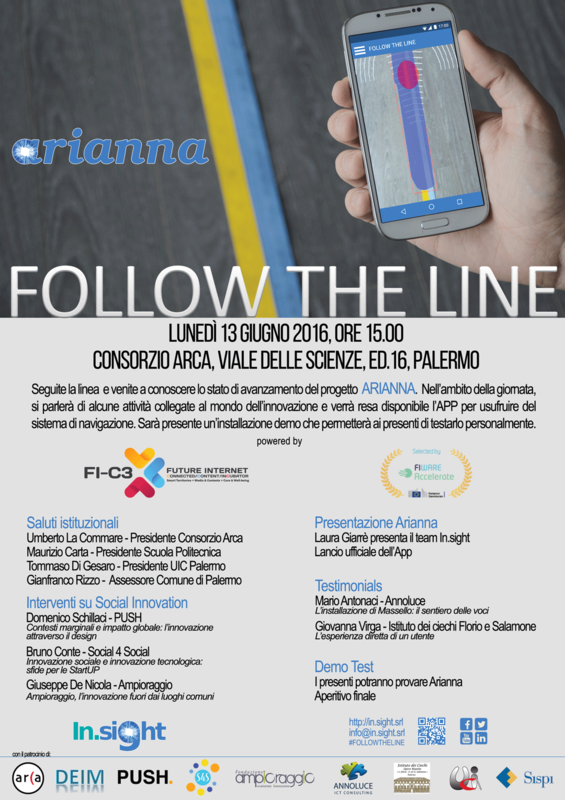 On June 13, at the Arca Consortium (Bdg.16, Viale delle Scienze – Palermo) starting from 3 p.m., we will officially present theArianna App. After careful research and development, the system will be available on the Play Store and Apple store and it will be presented by our CEO Laura Giarré. The event Follow The Line, will take place in presence of numerous guests and members of the academic innovation and ICT world.